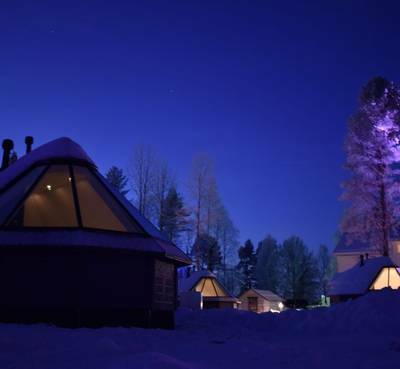 Close to Lapland’s capital Rovaniemi but far removed from city life, the Apukka Aurora Borealis Resort is your comfortable haven in the Arctic. 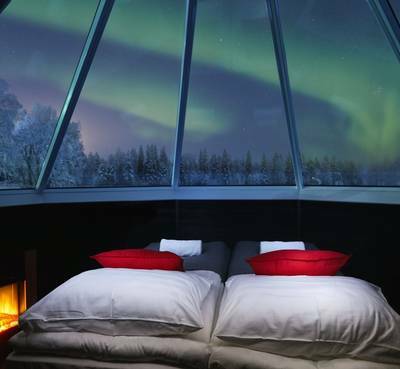 Staying in an Aurora Cabin, this cosy retreat with a heated glass roof gives you the opportunity to see the Arctic sky at all times and hopefully, the Northern Lights from the comfort of your own bed. 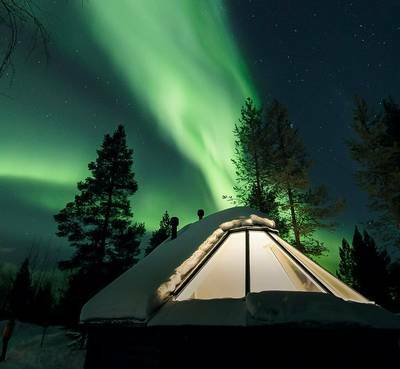 After a day in Finland’s incredible landscape, you’ll be able to relax in your own private cabin while still keeping an eye on the night sky. 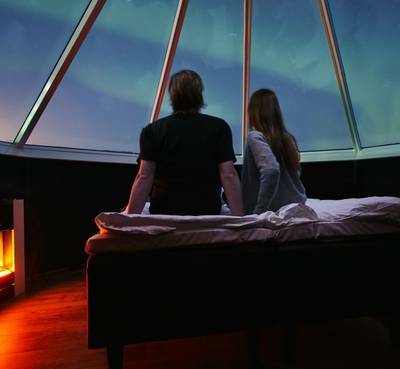 SLEEPS 2+2 PERSONS: There are 25 Aurora Cabins on site equipped with double bed, convertible sofa and cosy bedding to ensure you stay toasty all night. 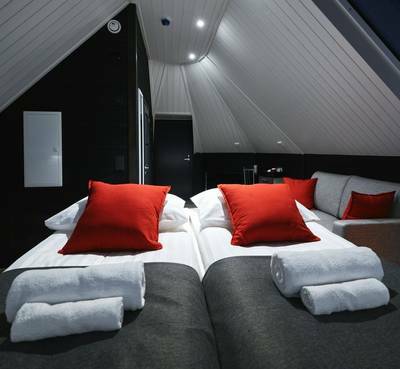 Everything is in one place with your own private ensuite bathroom with shower and toilet, minibar and complimentary WiFi. 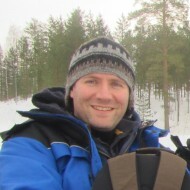 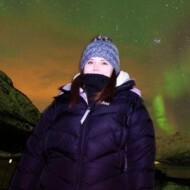 Make sure you download the Aurora app so you’ll know if you can expect the amazing light show to be dancing above.